I started this quilt for my dad in anticipation of his retirement. When I found this pattern kit, I knew it was the right one. My dad spent most of his younger years in the southwest and has always been fond of western movies. 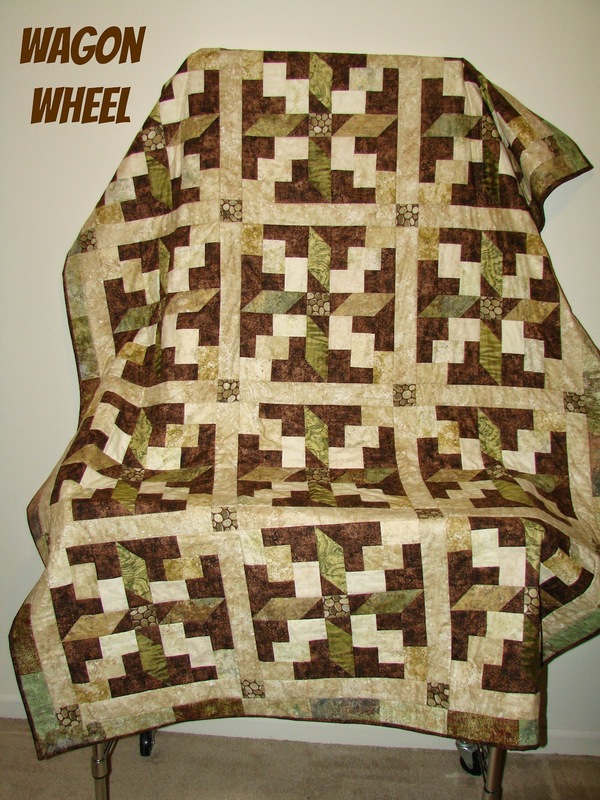 The wagon wheel block and rustic fabric made the perfect "saddle blanket" for my dad as he rode into the sunset of a well deserved retirement in the summer of 2014. Unfortunately, I wasn't able to complete it in time for his retirement party, but he was still happy to finally receive it.